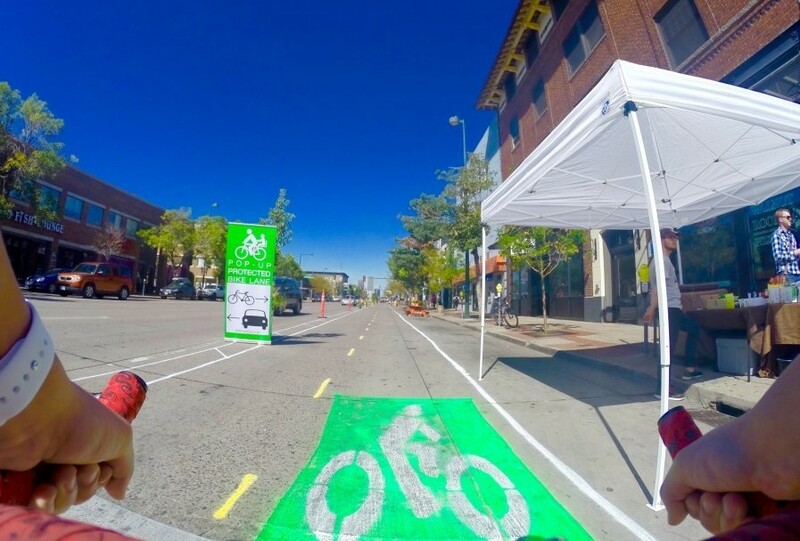 A two-way protected bike lane on Broadway gained serious momentum with a weekend demo in September, and should gain more leading up to a six-week demo planned for next spring. But a safe, efficient way for people on bikes to travel up and down the spine of the city is far from a done deal. There’s a meeting tonight about the future of the Broadway/Lincoln corridor that can help change that. This will be the first in a series of public meetings that Denver Public Works will host about the protected bike lane project, and it’s critical that people who want it to succeed attend tonight. Mayor Michael Hancock and City Councilor Jolon Clark have come out in favor of the Broadway bike lane, and merchants have worked with advocates on it for more than a year. That bodes well, but ambitious street safety projects also need grassroots support that carries over through the design and implementation phases. Otherwise, backtracking by public officials, like we recently saw in Boulder, is a real risk. So: Come play a role in making sure the Broadway bike lane goes from idea to reality. The presentation is scheduled for 6 p.m., but anyone can stop by between 4 p.m. and 8 p.m. to take a look at the plans, chat with planners, and submit comments. The meeting is at the South Broadway Christian Church, 23 Lincoln St. If you can’t come tonight, you can show your support by submitting comments online.